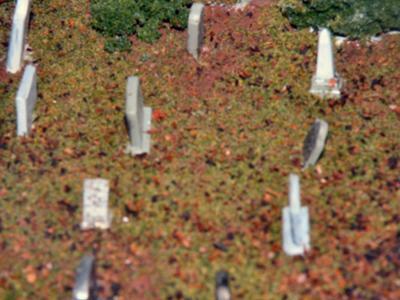 After planning the scene, I gathered all my materials, which I had purchased (HO scale church,tombstones,scenery materials, adhesives, etc.) at hobby shops, as well as materials I had convenient around my home (styrofoam, tape, newspaper, wooden veneer facing, etc.). 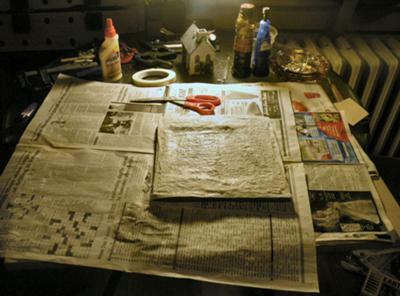 My first step was to build the base which was done by using newspaper and tape to create undulation of a natural landscape. 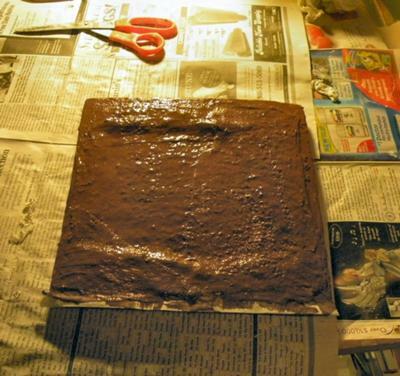 I then applied a mixture of brown paint, Elmer's glue, plaster and paper mache to apply to the base in approximately 1/8" thickness, which allowed me then to place the scenic materials (turf,etc.) and structures (church, tombstones, figures). Finally I cut the veneer into strips which have been stained,and adhered to the Styrofoam base with Elmer's wood glue and brass tacks. 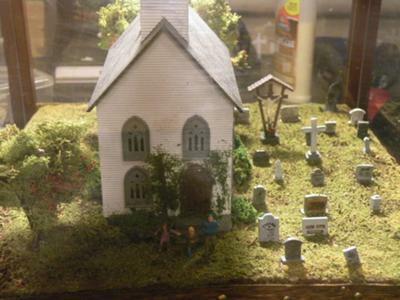 I then placed the diorama into a wood and Plexiglas box in order to protect and present the project. It took about 8-10 hours to complete.